Back in 2013, I had a conversation with cmatta about what I thought was the scary inevitable future of streaming companies vertically integrating into content producers. I kept meaning to write up a blog entry. Here we are, now, 6 years later, and the future I saw is now the present, so I will just copy and paste some excerpts from the conversation, and you’ll just have to believe I was as prescient as I claim I was. I post this now, because there’s now not just Netflix and Hulu and Amazon, all with great exclusive originals, but also CBS All Access if you want to watch Star Trek Discovery and the upcoming Picard show. And HBO Now for Game of Thrones. And soon you’ll need Disney+ if you want to watch anything Marvel or Star Wars or Fox (like The Simpsons or Futurama). And Apple is getting into the original content business, too. That’s potentially 7 different monthly bills where just 10 years ago you’d pay one company and be done with it. Forget the days when all your TV would just work, today there’s a question if the world’s biggest content producer’s new service will work on the world’s biggest tech company’s streaming device. The content is better than it was then, without a doubt, and the ability to watch whenever (I’m old enough to have programmed a VCR in my life) but the experience as a consumer is worse. I forgot how bad the screen was. Basically invisible in bright sunlight, even at full brightness and shaded. How do I communicate? Talk is dying, Allo and Hangouts aren’t supported. Using an old enough apk of Hangouts that can be installed gives a modal “please upgrade” popup on start. The browser isn’t horrible, but there’s apparently some cross-site SSL feature it doesn’t support, because I get warnings about buttflare certs being bad pretty much everywhere. Signal supposedly supports 2.3 but I got strange errors every time I tried to install it. I forgot how slow HSPA was. Gmail works, but for some reason it doesn’t seem to sync quite right. I very rarely can see the emails in my Inbox, even when Gmail says they’re there. Inbox isn’t supported, sadly. 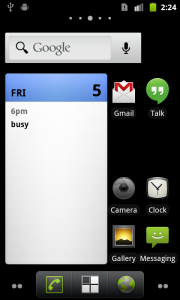 The browser-based Gmail is better, but no notifications obviously. Some HTML glitches too, but nothing horrible. It’s seems like a bad thing that an OS released a little more than SIX years ago would be so unsupported. The Gmail/Hangouts/Signal/Allo situation is sad. To be fair, though, Ice Cream Sandwich (8 months newer) was a big departure and it seems like a lot of apps use that as their oldest supported version. The ringtones are horrible. The alarm tones are worse. The camera isn’t actually so bad, but the 80db shutter sound is surprising every time. I miss the trackball (especially trackball notifications). Having to unlock to see/swipe notifications is surprisingly painful. 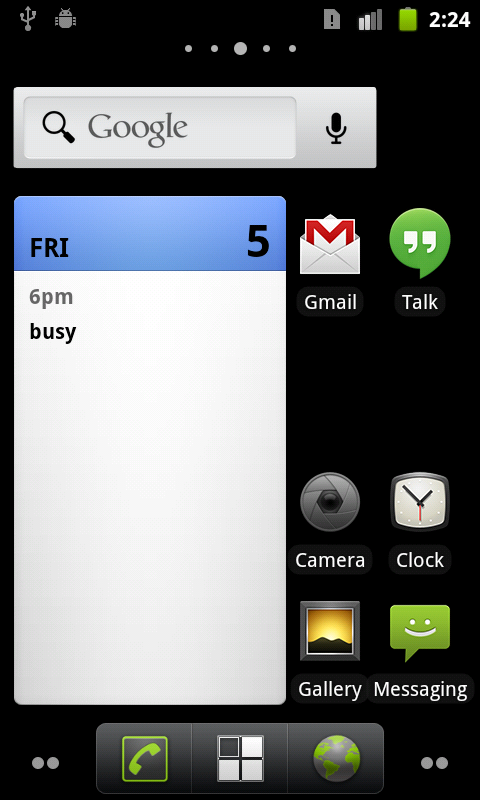 The calendar widget only shows your next event, not your agenda for the day. How is that useful? BASIC – I remember programming BASIC on my parents’ IBM PC around the age of 6. For a long time it was mostly copying simple code from books and writing tight for loops. Eventually I progressed to QBASIC and some simple graphics stuff. C – My dad taught me C when I was getting fed up with BASIC. The only thing I remember writing was a crappy RPG based on the places I hung out with friends. TI-BASIC – I wrote a bunch of small programs that automated some geometry/trig/calculus rules for my TI-82 in High School. I also wrote some games, tic-tac-toe and 2-player checkers among the ones I recall. Pascal – I learned Pascal in high school, as part of the AP Computer Science program. My proudest moment was Uno and Battleship, both with simple AI opponents. Perl 5 – I learned Perl in my free time my freshman year at college. I created a small community website (wsvw1u.com) using CGI. C++ – The Computer Science courses at RPI were primarily in C++ at the time I was there. For parts of courses, I also dabbled in MIPS assembly, Smalltalk, and Scheme. In 2008, when my parents sold the house I grew up in and started cruising the world in an RV, they gave me their flatscreen television for safe keeping. The expectation was that they’d do the On The Road thing for a couple of years and then take it back when they settled down. They’re still doing it, and the TV is now hilariously out of date. And a couple of weeks ago, the antenna connection stopped working, meaning it was time to upgrade. 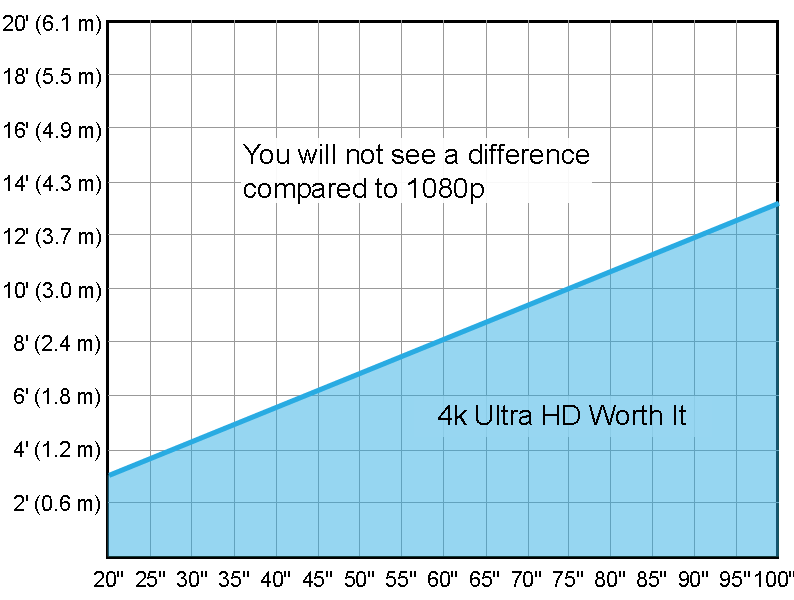 The main requirements were: about 40 inches, wide viewing angle, at least 3 HDMI inputs, and never ever ever a Samsung. I was hoping I could also purchase it from a local brick-and-mortar store (instead of online) for an insignificant premium. We don’t need a 4k screen (at that size, and with our couch 11ft away from the screen, it wasn’t necessary. I spent lots of time reading Wirecutter, Rtings, and 4k.com. The Wirecutter recommended TV (Vizio M43-C1) was very very close to what I needed, but it didn’t have a great viewing angle. I ended up deciding on a 43-inch Sony X830C. Great viewing angle and plenty of HDMI. Rtings felt the contrast wasn’t great and the surface was too reflective, but 4k.com didn’t really agree and general picture quality wasn’t super high on our list — I was sure it would be better than our old free screen. Anyhow, it’s on the wall now. Six inches larger than the old screen, but covers up less wall. Definitely good. More detailed thoughts coming after I get more time to watch it. UPDATE: After using the TV for the past two months, I’m definitely a fan. The reflectivity is not a problem, and the colors and viewing angle are excellent. We almost never use our Roku box anymore, which isn’t its fault, it’s just that our TV does everything we used it for. Android TV is pretty good, I think our TV has only crash-rebooted a couple of times (which is a weird concept). The UI could be a bit faster, but whatever. It’s nice having the Guide be accurate even though we only use an antenna (however our old TV used to get its guide had stopped working years ago). The biggest complaint I have is that the remote is sort of a disaster. Ever since my parents have been living within spitting distance of Fort Myers, I’ve sent them a quick list of Red Sox storylines going into Spring Training. Seeing as pitchers and catchers report today, I figured today would be a good day to do it. 2016 is going to be an important year for the Red Sox. There’s a good chance that manager John Farrell is on a relatively short leash. His World Series victory in 2013 has given him a little benefit of the doubt, but the last two seasons have seen last-place finishes and declining attendance. General Manager Ben Cherington was replaced with his assistant Mike Hazen, so it’s clear that ownership is willing to make changes. I’d bet if we finish in last place again, Farrell would be gone. We’ve got lots and lots of young talent, mostly promoted up through the farm system. Mookie Betts (RF) is probably the most prominent, but Jackie Bradley Jr (CF), Xander Bogaerts (SS), Rusney Castillo (LF), and Blake Swihart (C) are all promising kids, too. We signed the premiere pitching free agent in December: David Price. He’s making $30 million this year, and then also for the 6 years following that. He won the Cy Young in 2012 and was 2nd in voting and led the AL in ERA last year. He won 18+ games three of his last five seasons and we haven’t had an 18-game winner since Lester in 2010. We also picked up a big name closer: Craig Kimbrel. Led the league in saves for 4 years (4th place last year). Both he and Price are solidly in their prime, too: 28 and 30, respectively. As for last year’s big signings that didn’t perform as expected, well, we’ll see how they go. There were rumors of trade attempts for Pablo Sandoval ($17M/y) and Hanley Ramirez ($22M/y), but nothing panned out. Ramirez was moved from his usual shortstop (where we’re overloaded) to left field last year (where he looked lost at Fenway, especially compared to the young guys) and this year will be at First Base, where he’s never played. The rest of our starting rotation is pretty stable from last year, which is to say: mediocre. Buchholz will look amazing through June like usual, but then will go to 15-day DL and stretch that out to missing a dozen starts. (We exercised his option for this year, and we’ve got another one for next year, but I wonder if we let him go if he can’t stay healthy. Again.) Porcello will hopefully live up to his 4-year $20M+/y extension. E-Rod, Kelly, and Wright will probably get through the year with 4ish ERAs and we’ll have to hope that’s good enough to keep us in games. And last, but definitely not least: this will be Big Papi‘s last season. By most advanced metrics (WAR, OPS+, RE24), he was among the top hitters on our team yet again last year and hopefully he’ll go out on top too. Most statistical projections have us favored to win the division or be in the running for a wildcard, both of which depend on some luck and few injuries. Hopefully it’ll be an exciting year. © 2019 Copyright Plutor.org. Powered by	WordPress & HTML5 Blank.